- PLEASE FOLLOW THE BOOKING INSTRUCTIONS AS SHOW IN THE BOOKING SECTION. - YOUR BOOKING IS NOT CONFIRMED UNLESS YOU FOLLOW THESE INSTRUCTIONS AND RESEVE A CONFIRMATION EMAIL FROM SEA ADVENTURE. - You have 14 days to claim any refund. After 14 days no refunds will be issued. Should you require a refund, please contact Sea Adventures and they will assist you. Valid from 6 March 2019. Expires 31 May 2019. 1. Kindly call on 99999387 for availability. 2. Buy the deal on DealToday and receive your voucher on your mail. 4. 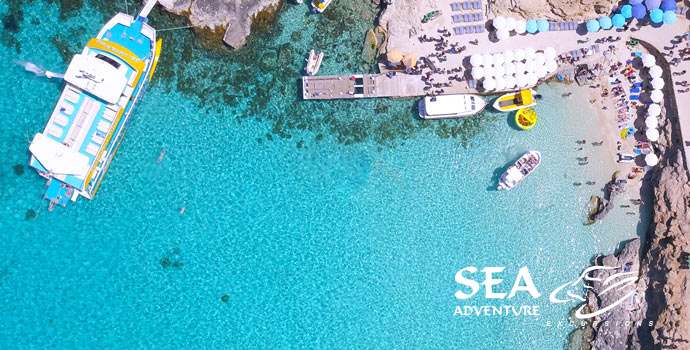 Once booked you will receive a booking confirmation from Sea Adventure. - Please present your voucher upon arrival at the boat - either in printed or displayed on a smart phone. 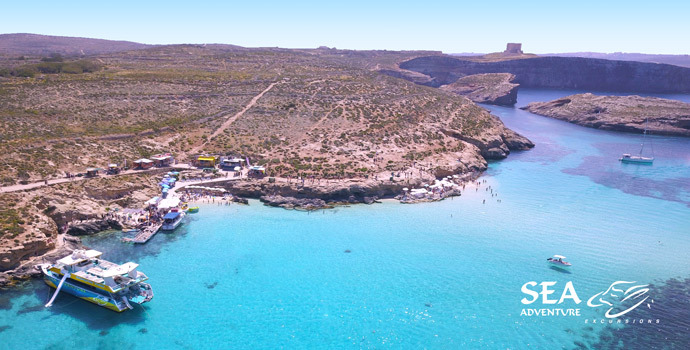 This Cruise is designed to visit both Ilands of Comino & Gozo, to experience the unforgettable crystal clear waters surrounding it. 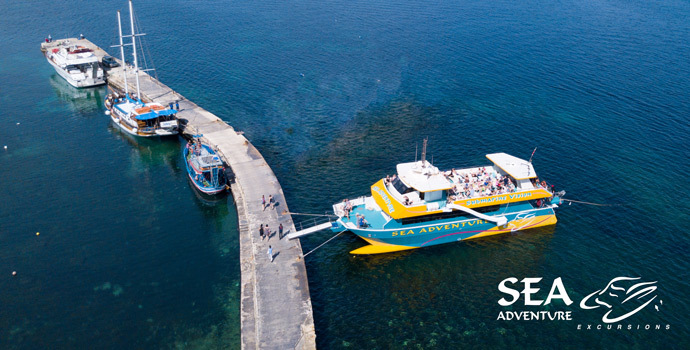 We cruise between St. Paul's Bay and the island where St. Paul was shipwrecked in 60 A.D, then up to Mellieħa Bay and across to the Island of Comino. Our first stop is in Crystal Lagoon, where drop anchor for approximately 1hr. Here you can swim from the boat, in the caves (which were featured in the 2002 film ” Count of Monte Cristo”) or snorkel around this secluded lagoon, where fish are abundant. For the adventurous there are many cliffs to jump from, ranging 10-40 feet. Participation is at your own risk. Later we head to the famous Blue Lagoon, we berth for 1 hour which you can spend at your leisure. Sunbathe and swim from the boat or go ashore and explore. We berth stern to in order to allow easy access to the Island. We stop a few meters away from the only swimming zone which has a sandy beach and graduated shallow waters; great for children and those less able. The rest of the afternoon is spent in Gozo to spend at your leisure or perhaps book a mini excursion, onboard the boat, to visit Gozo's highlights. During the course of the cruise we enter breathtaking caves and view many amazing landmarks.